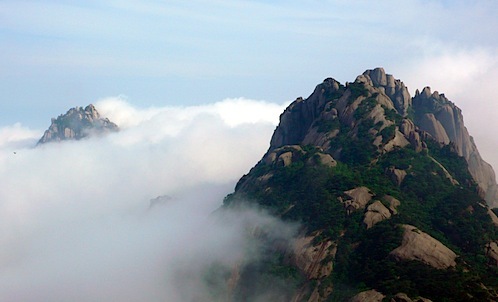 12FOOT3 » Blog Archive » Huangshan: Eddo Guest Blogs China! Great insight, Eddo. And beautiful photos. So nice to see the whole family touring together. Must be a real treat for Hope and Jeremy after so much time exploring on their own. 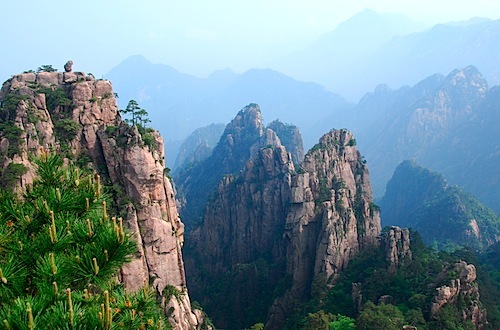 It truly was a dream come true for me, HuangShan is somewhere I heard a thousand times when I was young, but imposible to reach because of the iron curtain. Now I am here with my dear family, seeing the everchanging foggy mountain, step on the dirt with my own feet, getting a feel of people who lives in,work or near the majestic place. (even a tour guide looks just like Philip Li,son of my best fried Grace). 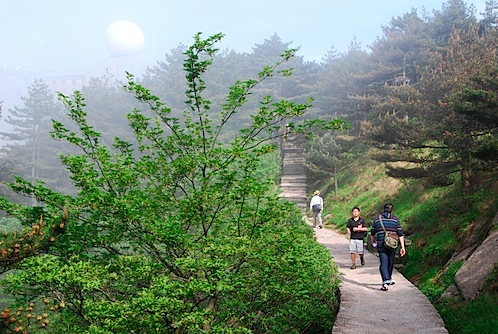 On the day we came down from HuangShan is happen to be my bithday, I stop to deeply breath in the sweat air, memorize the trees and flowers and sound or quietness of the serene suroundings. Thanks Jack, Hope,Jeremy and Eddo, it is a most memorable bithday of my life. Thanks for the comments everyone! I am still basking in post-China glow!! !